John will be especially remembered for his hard work, generosity, and sense of humor. 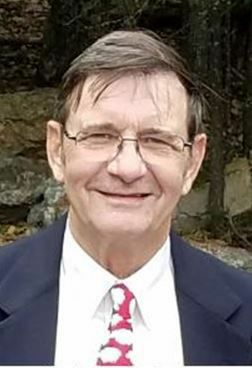 Born on November 13th, 1947, in Cedar Falls, Iowa, to Pritchard and Henrietta (Tjebkes) Higby, he attended Cedar Falls High School and received a Bachelor of Arts degree in physics from the University of Northern Iowa in 1974. John served in the U.S. Army during the Vietnam War from 1969 until 1972 as a cartographic drafter, stationed in Pearl Harbor. He received the National Defense Service Medal. On October 27, 1973 he married Patricia Anne Henderson in Union, Iowa. They returned to Cedar Falls and John worked at The Higby Company with his father. John and Pat purchased the business in 1997. He was a certified Master Mechanic, and was able to solve any small engine problem. His honesty and integrity were highly valued by his loyal customers. He used his skill and creativity to create many one-of-a-kind objects such as custom floating docks, a spiral staircase, and deer-proof garden fencing. He loved listening to Iowa Public Radio and National Public Radio podcasts. Survivors include his wife, his children, Victoria (Daniel) Maloy of Amana, IA, John (Caitlin Bogdan) Higby of Maine, two grandsons, John Daniel and William Griffin Maloy. Three sisters, Elsie (Robert) Hoy of Grimes, IA, Shirley (Paul) Nielsen of Dike, IA, Mary Rector of Cedar Falls, IA, one brother Kenneth (Nancy) of Waterloo, IA, and several nieces and nephews. John was preceded in death by both parents and brother-in-law Charles Rector. Services will be held at 10 am on Friday, September 28, at Riverview Conference Center, 439 N Division St., Cedar Falls, IA 50613. All friends and family are welcome to come share their stories. Thanks to all our friends and family for their help and support. In lieu of flowers, please consider becoming a member of Iowa Public Radio, or make a donation to the Salvation Army in John’s memory.